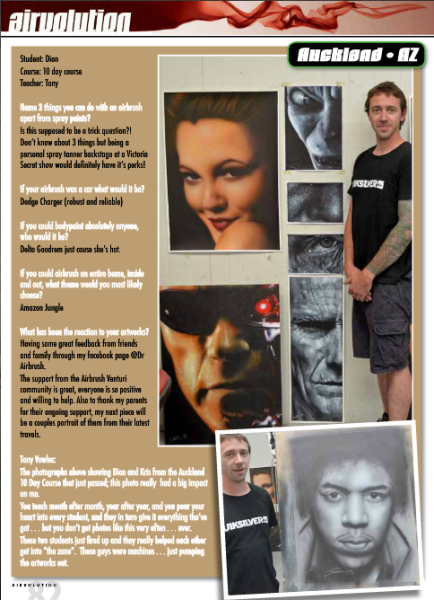 Dion Rendle (a.k.a Dr. Airbrush) is an Airbrush Venturi qualified artist. 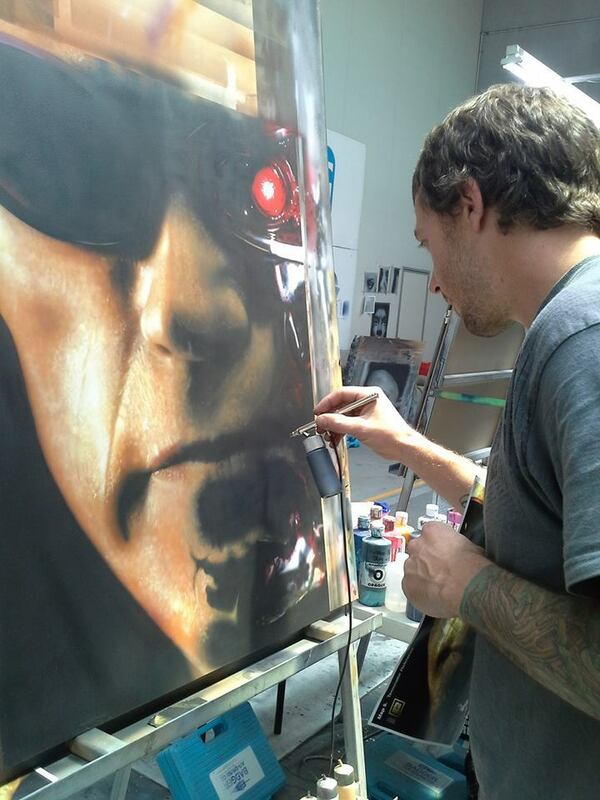 He uses the proven Venturi system which is an Australian national standard for the teaching of commercial airbrushing. 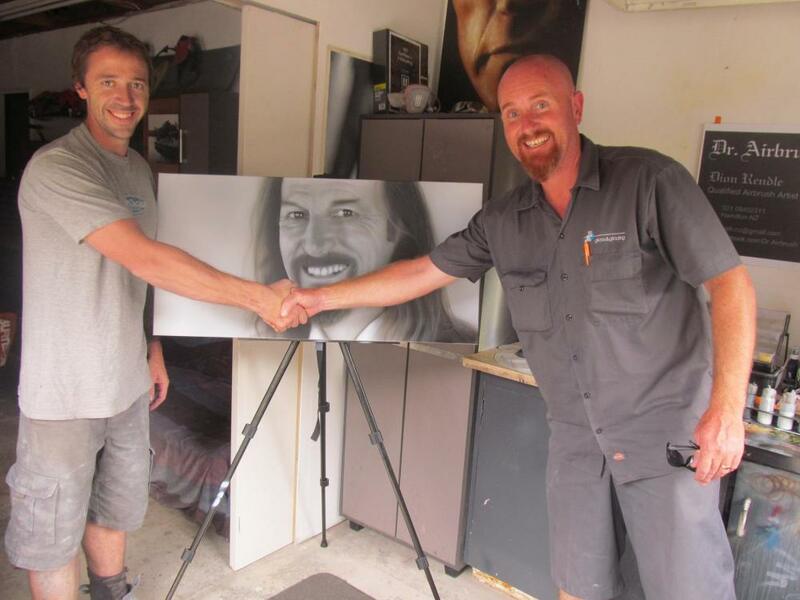 He has attended several courses including advanced portraiture, advanced land wildlife & advanced landscapes. 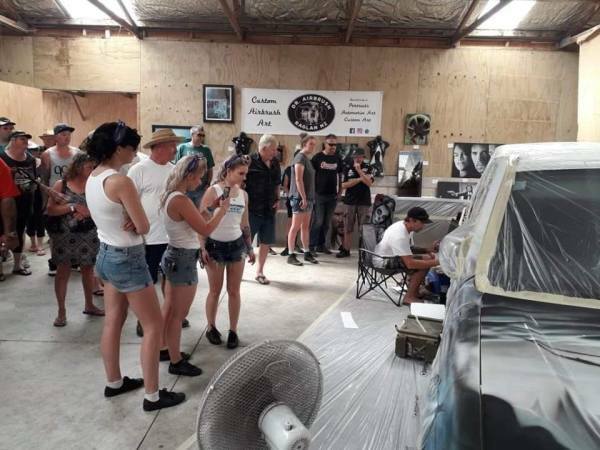 Dion has been in the Automotive trade since 2001 and has been a full time qualified automotive refinisher since 2006. New Zealand and is open for viewing by appointment only. Available for online quotes and sales enquiries anytime.